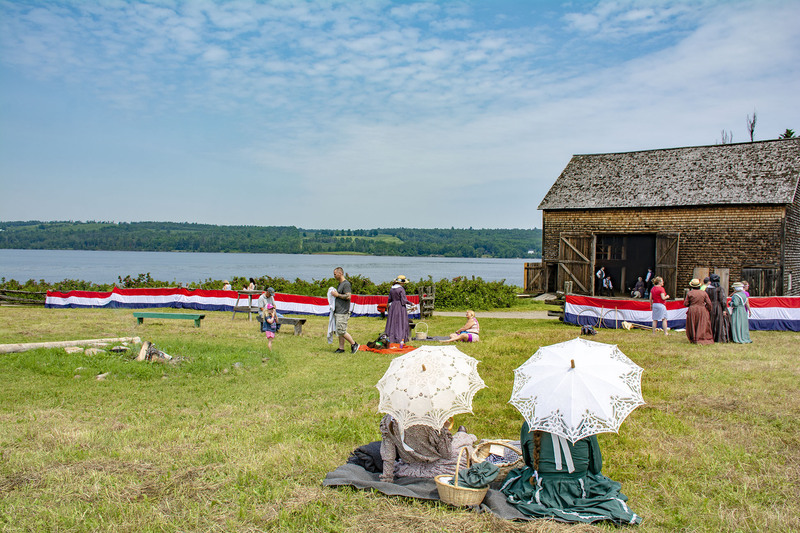 Join us for Canada Day weekend as we, well, most of us, celebrate Confederation! In 1867, Canada officially became a country. The Village will hold a community picnic with music, games, and dancing to celebrate, but not all characters are happy, and some will not attend. This was a time for both celebration and controversy. With the cancellation of the Canadian-American Reciprocity Treaty, the colonies’ expanding population, the possibility of an intercolonial railroad to improve trade, the possibility of American and/or Fenian raids and several other issues, the question did not come with an easy answer, especially for New Brunswick.